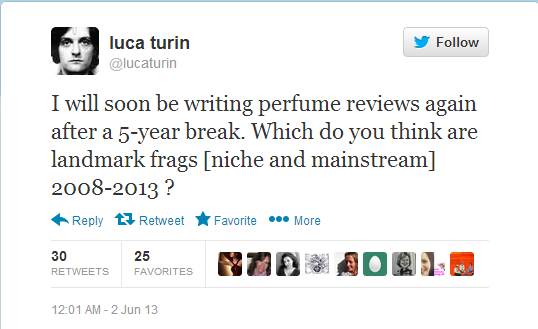 News: Luca Turin returning to writing perfume reviews! Luca Turin recently tweeted that he would be writing reviews again! While that may be exciting news for some, others have commented that his reviews create “snobbery” and “stop you making your own opinions on the scent” [refer to this Basenotes thread: http://www.basenotes.net/t/372936/luca-turin-returning-to-reviews]. Personally, I find his reviews pithy, hilarious and most helpful to me because my tastes tend to be somewhat similar to Mr Turin’s. While I may not agree completely with every review (that would make me a robot, not a human), I appreciate the humour that goes into his writing. 2 quick reviews from me today, both from the same independent brand TokyoMilk and created by perfumer Margot Elena. First up, we have Song In D Minor. 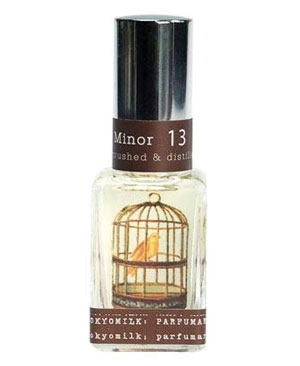 Unfortunately for the bird in the cage featured on the perfume’s illustration, Song In D Minor‘s swansong comes right at the beginning. It opens beautifully with a plush bouquet of mildly sweet white florals – orange blossom, jasmine, and other unidentifiable florals. I wish this part would last, though. Within 10 minutes, it becomes an astringent and synthetic concoction that is screechy and not at all pleasant to wear. The notes list says ‘amber’ but this is virtually undetectable at all. Thankfully, Honey & The Moon achieves what Song In D Minor fails to achieve. After opening with an intensely sugary candyfloss (ethylmaltol, I suspect) note, Honey & The Moon segues into an indolic jasmine (while still remaining very, very sweet – sugarphobes beware! This is a Pink Sugar rival!) It then does a startling pirouette halfway when the floral ‘heart’ vanishes suddenly to be replaced with the opening candyfloss. Makes one wonder what kind of chemistry went into its composition to make it play such tricks. 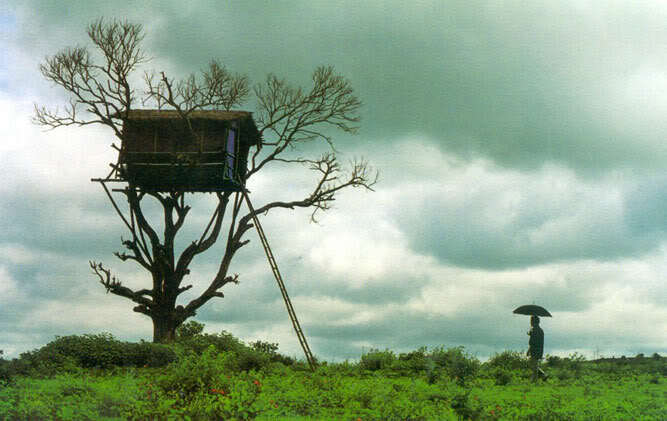 The best part, however, is the drydown. It is dirty, skanky and creamy all at once. It is as though the bees have performed some sacred mating dance and splattered honey and sweat EVERYWHERE (yes, I know this isn’t particularly biologically correct, but hey, I’m not a biologist!). Because this scent is not particularly refined but is wholly carnal and primal, the best way to describe the drydown would be to just go: mmmhmmm ohhhh yeah! Oh, and this thing lasts, even after a shower. I’d put longevity easily at 12 hours. While the opening may be cloyingly sweet, the payoff is definitely worth waiting for, so don’t scrub it off just immediately! TokyoMilk fragrances are available at beautyhabit and retail at USD29 for 30 ml, which is a pleasant size indeed. And though I’m not that much of a packaging junkie, the vintage-looking illustrations that are done by Elena herself are most definitely pleasing to the eye.